A series of workshops are being held for groups and organisations in Mid Ulster wishing to avail of funding earmarked for improving services to communities in rural areas of the District. Mid Ulster Rural Development Partnership, the Local Action Group for Mid Ulster District Council area, is hosting the funding workshops. This funding is provided through Priority 6 of the 2014-2020 Rural Development Programme under the Rural Services Scheme which is designed to explore new and innovative ways of delivering services locally. Rural Services has a core aim of establishing community service hubs which will house a number of key services to meet identified gaps in provision. To do so the Scheme will offer capital funding to encourage better use of existing or new community buildings or other facilities which, with modification, could be utilized for wider community benefit. The workshops will take place on 1st June in Mid Ulster Council Magherafelt Office; 2nd June in Ranfurly House Dungannon; 6th June in Cookstown Enterprise Centre; and 8th June in St Ciaran’s High School Ballygawley all commencing at 7:00pm sharp. Morning workshops will also be held on the 6th June in Ranfurly House Dungannon; and 8th June in Mid Ulster Council Magherafelt Office at 10:00am. 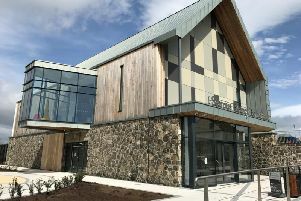 Chairperson of Mid Ulster Rural Development Partnership Mr Austin Kelly, said that only those who come along, will be eligible to apply for the funding. He said: “Attending a funding workshop is a mandatory requirement meaning that only those groups or organisations who attend a workshop will qualify for making an application for funding. “It is also essential that whoever attends the workshop on behalf of their group or organisation is an authorised signatory”. To book a place on one of the workshops or to talk to a member of staff about the Rural Services Scheme please call 028 8676 4714. All those planning on attending are encouraged to book in advance in order to help manage numbers.